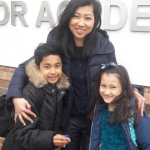 I am a single mom with 2 children,work full time in retail hours in central London however I need someone who is caring and reliable to look after the my children only from 6pm to collect my daughter at after school club, prepare dinner mostly i cook the food or there are always frozen food available if i dont have the time to cook, make sure they get things ready for the next day, homework n reading and they go to sleep at 8.30pm. I will be home at 9.20pm but it will be count 3,5hrs per day to give a bit of time in case any delays on train. Tuesday and Wednesday only however i also need friday on every other weekend when they are with me on the every other weekend. My children are very sensible, independent, polite and easy to manage. Kinara is 9 years old, she is in year 4 and we live in Worcester Park. The school is 20 minutes walk from where we live. Please do not hesitate to contact me for any further.